Who has a head a tail and no legs? A pennie or a coin. 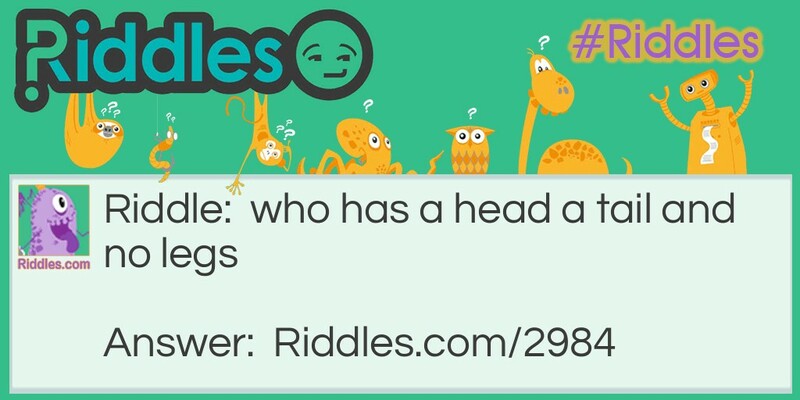 jokes Riddle Meme with riddle and answer page link.